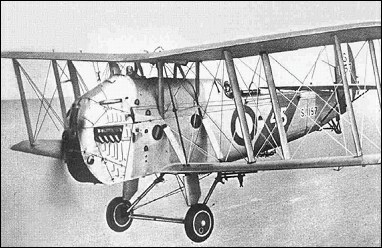 The Blackburn was an ugly carrier-borne Fleet spotter-reconnaissance biplane, accommodating a pilot in an open cockpit in front of the upper wing leading edge, a wireless operator/gunner and a navigator/observer. The latter crew members were provided with a cabin inside the deep fuselage and only needed to venture out into the open for observation or to use the rear-mounted Lewis machine-gun. Thirty production Blackburn Is, with 335kW Napier Lion IIB engines, were built. The type first entered service on board HMS Eagle in 1923. These were followed by 29 346kW Napier Lion-engined Blackburn IIs, entering service in 1926. All were replaced by Fairey IIIFs in 1931. I've been an avid aviation enthusiast for decades and never seen this before. It must have been very impressive seeing that huge plane operate from a carrier deck. The Blackburn Blackburn was certainly a strange-looking machine, but there were valid reasons why it looked the way it did. In judging aircraft such as this one must maintain a perspective as to the period in which they were developed and the mission that they were expected to fulfill. During the 1920s the Navy's principal weapon was considered to be the big guns of the battleships, and aircraft carriers were regarded as no more than mere auxiliary support to them. With that in mind, this aircraft was designed specifically to serve as a carrier-based observation platform from which to spot for the guns of the battleships. That was the reason it looked the way it did. The requirement for which this airplane was designed stipulated a place from which an observer could obtain a good view of the fall of shot, as well as a large enclosed cabin from which a radio-operator could transmit the information to the battle-fleet. The pilot's cockpit also needed to be placed as far forward as possible, and clear of the wings, in order to afford a good view for landing onto the carrier deck. In spite of it's ungainly appearance, the Blackburn Blackburn did everything it was designed to do, and was considered to be a successful airplane. I was searching for the ugliest aicraft ever. This is the one!